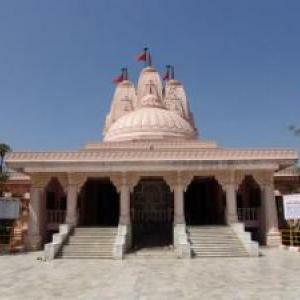 ISKCON Baroda, Sri Sri Radha Shyamsundar Mandir, is located on a six-acre plot, three kilometers from Baroda Railway Station. 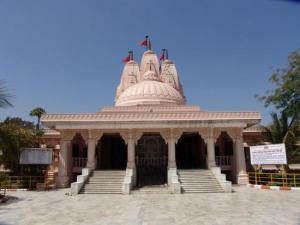 Baroda is the third largest city in Gujarat State, where Lord Krishna resided 5,000 years ago at Dwaraka. The temple complex includes the Mandir (temple), Goshalla with 45 cows, bulls and calves, Govinda's Restaurant, Govinda's sweets & snacks, gift shop, twenty-five room Guesthouse and two Community halls for religious functions. Hare Krishna Land, Gotri Rd.